Welcome Home to Cambridge Cove Apartments! Beautiful open floor plan, 4 Bedrooms/3 Bathrooms. 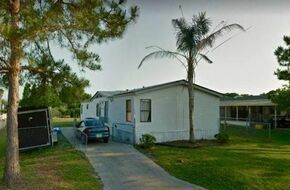 DESCRIPTION Hilltop Mobile Home Park We Offer 1 and 2 Bedroom Mobile Homes & RVs For Rent! Lakeland, Florida gets its name from the more than 40 lakes scattered throughout the city. These lakes have shaped the character of the town and give residents a unique way of describing what part of town they live in–instead of naming the nearest intersection, they simply use the name of the nearest lake. One of these lakes is home to royal swans, which were gifted to the city by the Queen of England. The apartments for rent in Lakeland's Shore Acres are lots of the nicest in the city - regardless of whether you want a convenient pantry or a laundry room. The MyNewPlace apartment search can help you search for the perfect apartment rental that meets your budget constraints. Some of the nicest rental apartments in Lakeland can be found in the Webster Park South neighborhood and MyNewPlace can help you find ones with a variety of great interiors such as a green living room! Let MyNewPlace help you locate that ideal apartment that meets both your needs and your budget. Want to start searching right away? Check out floor plans, photos, maps and videos on MyNewPlace! Best of luck in your search! Pinehurst has lots of the cutest apartments in Lakeland and you will find this neighborhood full of friendly people and convenient amenities. 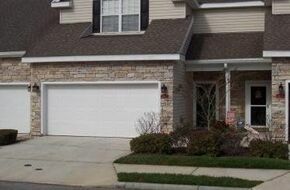 MyNewPlace's apartment search can help you look for that impeccable Pinehurst apartment. Apartment living in neighborhoods like Pinehurst is just one of a lot of things you can learn about from the MyNewPlace's apartment guide. Think this is the only Lakeland neighborhood for you? Check nearby neighborhoods below to see all your options. Lakeland's Lake Beulah neighborhood has tons of the city's best apartments, and you will find this neighborhood full of friendly people and convenient amenities. 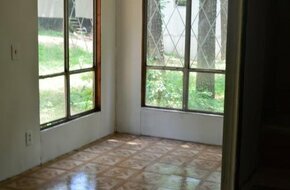 MyNewPlace's apartment search can help you find that spotless Lake Beulah apartment. Some of the nicest rentals in Lakeland can be found in the Lime Street neighborhood - let MyNewPlace help you finally find that perfect entryway you've been looking for. You can get many answers to your Lime Street apartment questions by clicking through to floor plans, maps, photos and videos on each property's details page. South Lake Morton has lots of the nicest apartments for rent in Lakeland and you will find this neighborhood full of friendly people and convenient amenities. Let MyNewPlace help you find that perfect apartment that meets both your needs and your budget. Tons of the nicest apartments for rent in Lakeland are in the Lake Bonny neighborhood, and MyNewPlace can help you find ones with a variety of great interiors such as a really nice dining room! MyNewPlace's apartment search can help you look for that unequaled Lake Bonny apartment. Our apartment blog can also help you learn more about the in's and out's of apartment living. 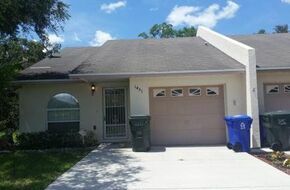 Lake Bonny is a really nice neighborhood in which to find your new Lakeland apartment. Want to learn more before deciding if Lake Bonny is the neighborhood for you? Get started now. You can get a ton of answers to your Lake Bonny apartment questions by clicking through to floor plans, maps, photos and videos on each property's details page. The apartments for rent in Lakeland's Edgewater Beach are some of the best in the city - - your new place is waiting for you on MyNewPlace! Have specific needs or a limited budget? Click the search button above, then select the rent range and other amenities that meet your needs. You can get tons of answers to your Edgewater Beach apartment questions by clicking through to floor plans, maps, photos and videos on each property's details page. Webster Park North has several of the nicest apartments in Lakeland that really nice bathroom (or whatever your dream interior looks like) is waiting for you on MyNewPlace! Looking for that perfect apartment but have a specific spending limit? No worries - our apartment finder will help you locate that unequaled Webster Park North apartment for rent that will meet your needs and fit your budget. Use our "Ask a Question" feature on this page to get answers about Lakeland's neighborhoods from our local experts! Best of luck in your search! The apartments for rent in Lakeland's Cleveland Heights are several of the nicest in the city - and you will find this neighborhood full of friendly people and convenient amenities. Looking for that perfect apartment but have a specific spending limit? No worries - our apartment finder will help you search for that ideal Cleveland Heights apartment for rent that will meet your needs and fit your budget. You can learn about roommates, landlords and other apartment issues in Cleveland Heights as well as Lakeland's other neighborhoods in our apartment blog. Want the inside scoop on Cleveland Heights? Check up on MyNewPlace for local tips and information about Cleveland Heights Lakeland. Use our "Ask a Question" feature on this page to get answers about Lakeland's neighborhoods from our local experts! Best of luck in your search! 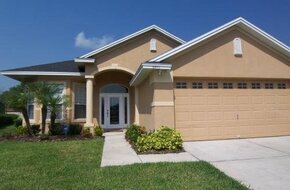 Granada has several of the most cost effective rental apartments in Lakeland. Apartment living in neighborhoods like Granada is just one of lots of things you can learn about from the MyNewPlace's apartment guide. Want to learn more before deciding if Granada is the neighborhood for you? Get started now. Use our "Ask a Question" feature on this page to get answers about Lakeland's neighborhoods from our local experts! Best of luck in your search! The apartments for rent in Lakeland's North Lake Wire are several of the nicest in the city - just use MyNewPlace to find the perfect one! Our apartment guide can also help you learn more about the in's and out's of apartment living. North Lake Wire is a wonderful neighborhood in which to find your new Lakeland apartment. Want the inside scoop on North Lake Wire? Read MyNewPlace for local tips and information about North Lake Wire Lakeland. Lakeland's Golf Course neighborhood has tons of the city's nicest rental apartments. The MyNewPlace apartment search can help you locate the perfect apartment rental that meets your budget constraints. The apartments for rent in Lakeland's South Lake Bonnet neighborhood are many of the nicest in the city. The MyNewPlace apartment search can help you look for the perfect apartment rental that meets your budget constraints. You can learn about roommates, landlords and other apartment issues in South Lake Bonnet as well as Lakeland's other neighborhoods in our apartment guide. Want to learn more before deciding if South Lake Bonnet is the neighborhood for you? Get started now. 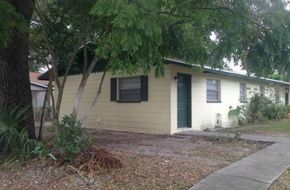 Lakeland's Market Street neighborhood has tons of the city's cutest rentals. Looking for that perfect apartment but have a specific spending limit? No worries - our apartment finder will help you look for that impeccable Market Street apartment for rent that will meet your needs and fit your budget. The apartment rentals in Lakeland's Kathleen are lots of the cutest in the city - and MyNewPlace can help you find ones with a variety of great interiors such as a pink bedroom! Have specific needs or a limited budget? Click the search button above, then select the rent range and other amenities that meet your needs. Our apartment blog can also help you learn more about the in's and out's of apartment living. Kathleen is a great neighborhood in which to find your new Lakeland apartment. Think this is the only Lakeland neighborhood for you? Check nearby neighborhoods below to see all your options. Use our "Ask a Question" feature on this page to get answers about Lakeland's neighborhoods from our local experts! Best of luck in your search! Tons of the best rental apartments in Lakeland can be found in the Valencia Heights neighborhood - let MyNewPlace help you finally find that perfect foyer you've been looking for. Want to start searching right away? Check out floor plans, photos, maps and videos on MyNewPlace! Best of luck in your search! Lakeland has many great rental apartments and tons of the nicest can be found in Dixieland, regardless of whether you want a yellow foyer or a built in dishwasher. The MyNewPlace apartment search can help you find the perfect apartment rental that meets your budget constraints. Try Lakeland's Central Avenue neighborhood for a lot of the city's cutest apartments for rent, make sure to check out all the options listed on MyNewPlace! Looking for that perfect apartment but have a specific spending limit? No worries - our apartment finder will help you locate that perfect Central Avenue apartment for rent that will meet your needs and fit your budget. Apartment living in neighborhoods like Central Avenue is just one of many things you can learn about from the MyNewPlace's apartment blog. Want inside information on Central Avenue? Check up on MyNewPlace for local tips and information about Central Avenue Lakeland. Lake Horney has lots of the best rentals in Lakeland. You can get lots of answers to your Lake Horney apartment questions by clicking through to floor plans, maps, photos and videos on each property's details page. North Lake Bonnet has many of the prettiest apartments in Lakeland let MyNewPlace help you finally find that perfect bathroom you've been looking for. The MyNewPlace apartment search can help you locate the perfect apartment rental that meets your budget constraints. The MyNewPlace apartment guide can help you not only learn about living in apartments in North Lake Bonnet but also other neighborhoods throughout Lakeland. Want to learn more about North Lake Bonnet? Take a look at MyNewPlace for local tips and insider information. Lakeland has several great apartment rentals and tons of the cutest can be found in Tigertown, just use MyNewPlace to find the perfect one! Have specific needs or a limited budget? Click the search button above, then select the rent range and other amenities that meet your needs. Our apartment blog can also help you learn more about the in's and out's of apartment living. 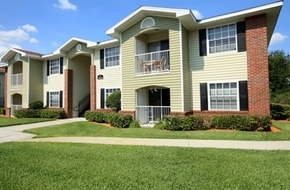 Tigertown is a perfect neighborhood in which to find your new Lakeland apartment. Think this is the only Lakeland neighborhood for you? Check nearby neighborhoods below to see all your options. The apartments in Lake Hunter Terrace are some of the prettiest in Lakeland, regardless of whether you want a beautiful living room or a built in microwave. Have specific needs or a limited budget? Click the search button above, then select the rent range and other amenities that meet your needs. Several of the most cost effective apartment rentals in Lakeland are in the Lake Bently neighborhood, regardless of whether you want a baby blue foyer or a hall closet. The MyNewPlace apartment search can help you locate the perfect apartment rental that meets your budget constraints. Lakeland's East Lake Morton neighborhood has a lot of the city's most cost effective apartments for rent, and you will find this neighborhood full of friendly people and convenient amenities. You can get a bunch of answers to your East Lake Morton apartment questions by clicking through to floor plans, maps, photos and videos on each property's details page. Orangewood has a lot of the cutest rental apartments in Lakeland. Our apartment blog can also help you learn more about the in's and out's of apartment living. 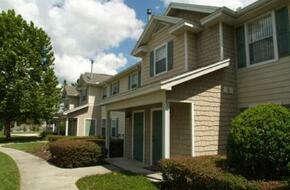 Orangewood is a great neighborhood in which to find your new Lakeland apartment. Want the inside scoop on Orangewood? Take a look at MyNewPlace for local tips and information about Orangewood Lakeland. Want to start searching right away? Check out floor plans, photos, maps and videos on MyNewPlace! Best of luck in your search! Try Lakeland's Lake Somerset neighborhood for lots of the city's nicest apartments for rent, regardless of whether you want a long entryway or a laundry room. Looking for that perfect apartment but have a specific spending limit? No worries - our apartment finder will help you find that perfect Lake Somerset apartment for rent that will meet your needs and fit your budget. The apartments for rent in Lakeland's John Cox are some of the most cost effective in the city - - your new place is waiting for you on MyNewPlace! MyNewPlace's apartment search can help you search for that ideal John Cox apartment. Use our "Ask a Question" feature on this page to get answers about Lakeland's neighborhoods from our local experts! Best of luck in your search! Lakeland has several great apartments for rent and lots of the cutest can be found in Lake Hollingsworth, and you will find this neighborhood full of friendly people and convenient amenities. MyNewPlace's apartment search can help you find that spotless Lake Hollingsworth apartment. Lakeland's Paul A Diggs neighborhood has lots of the city's best apartment rentals, and you will find this neighborhood full of friendly people and convenient amenities. Have specific needs or a limited budget? Click the search button above, then select the rent range and other amenities that meet your needs. 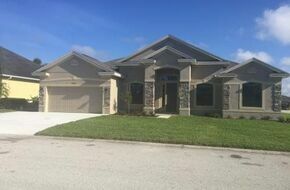 The rentals in Watson are lots of the best in Lakeland. The MyNewPlace apartment search can help you find the perfect apartment rental that meets your budget constraints. Lakeland's Lake Bonny Park neighborhood has lots of the city's best apartment rentals, and you will find this neighborhood full of friendly people and convenient amenities. Apartment living in neighborhoods like Lake Bonny Park is just one of many things you can learn about from the MyNewPlace's apartment blog. Think this is the only Lakeland neighborhood for you? Check nearby neighborhoods below to see all your options. Want to start searching right away? Check out floor plans, photos, maps and videos on MyNewPlace! Best of luck in your search! Lakeland's Raintree neighborhood has a lot of the city's most cost effective rental apartments, and MyNewPlace can help you find ones with a variety of great interiors such as a pale purple entryway! MyNewPlace's apartment search can help you locate that impeccable Raintree apartment. Use our "Ask a Question" feature on this page to get answers about Lakeland's neighborhoods from our local experts! Best of luck in your search! Try Lakeland's Lake Parker Park neighborhood for several of the city's nicest apartments, and you will find this neighborhood full of friendly people and convenient amenities. Looking for that perfect apartment but have a specific spending limit? No worries - our apartment finder will help you search for that spotless Lake Parker Park apartment for rent that will meet your needs and fit your budget. The rental apartments in Lakeshore are a lot of the best in Lakeland, regardless of whether you want a really nice dining room or a storage area. The MyNewPlace apartment search can help you find the perfect apartment rental that meets your budget constraints. The apartments for rent in Lakeland's Jewel Avenue are a lot of the nicest in the city - let MyNewPlace help you finally find that perfect pantry you've been looking for. The MyNewPlace apartment search can help you search for the perfect apartment rental that meets your budget constraints. Browse through the above 'popular rentals' listings in your new neighborhood in Lakeland! Good luck finding your new place! Lakeland has a bunch of great rentals and many of the prettiest can be found in Biltmore, regardless of whether you want a yellow living room or a laundry room. Looking for that perfect apartment but have a specific spending limit? No worries - our apartment finder will help you find that unequaled Biltmore apartment for rent that will meet your needs and fit your budget. The apartments in FSC are several of the cutest in Lakeland, just use MyNewPlace to find the perfect one! Our apartment blog can also help you learn more about the in's and out's of apartment living. FSC is a perfect neighborhood in which to find your new Lakeland apartment. Want to learn more about FSC? Read MyNewPlace for local tips and insider information. Looking for apartments in Lakeland's Swannanoa neighborhood? Some of the city's nicest can be found here! The MyNewPlace apartment search can help you look for the perfect apartment rental that meets your budget constraints. Want to start searching right away? Check out floor plans, photos, maps and videos on MyNewPlace! Best of luck in your search! Try Lakeland's Crystal Lake neighborhood for several of the city's best apartments for rent, just use MyNewPlace to find the perfect one! MyNewPlace's apartment search can help you locate that unequaled Crystal Lake apartment. Apartment living in neighborhoods like Crystal Lake is just one of many things you can learn about from the MyNewPlace's apartment guide. Want inside information on Crystal Lake? Read MyNewPlace for local tips and information about Crystal Lake Lakeland. Lakeland's Cumberland neighborhood has tons of the city's cutest apartments, and you will find this neighborhood full of friendly people and convenient amenities. Let MyNewPlace help you look for that spotless apartment that meets both your needs and your budget. Browse through the above 'popular rentals' listings in your new neighborhood in Lakeland! Good luck finding your new place! Try Lakeland's Imperial neighborhood for many of the city's most cost effective rentals, just use MyNewPlace to find the perfect one! MyNewPlace's apartment search can help you locate that impeccable Imperial apartment. The MyNewPlace apartment blog can help you not only learn about living in apartments in Imperial but also other neighborhoods throughout Lakeland. Want the lowdown on Imperial? Check out MyNewPlace for local tips and information about Imperial Lakeland. Has the time come for you to get out of the dorm and move into an off campus USFL apartment? Perhaps the options available from the University of South Florida Lakeland housing office no longer meet your needs and you would like to find a cheap apartment close to the USFL campus. If so, you can search for off campus University of South Florida Lakeland apartments with MyNewPlace's college housing search. Although University of South Florida Lakeland student housing may be very conveniently close to campus, moving to an off campus apartment can be a great way to save money, put some distance in between yourself and an RA, get accustomed to living in your own apartment and building up rental history. USFL apartments for rent are available close to campus and in other neighborhoods around Lakeland, Florida. Using our map based university apartment finder, you can find off campus housing near campus to ensure you can still get to all the USFL Rocky the Bull games and make it to class on time. We can help you find off campus USFL apartments that will best suit your collegiate lifestyle; search University of South Florida Lakeland apartments by the number of bedrooms, price, neighborhood or a range of other amenities. Have more questions? Check out our articles with renter tips in our apartment guide and search through http://www.poly.usf.edu/. Has the time come for you to get out of the dorm and move into an off campus FBC apartment? Perhaps the options available from the Florida Southern College Business School housing office no longer meet your needs and you would like to find a cheap apartment close to the FBC campus. If so, you can search for off campus Florida Southern College Business School apartments with MyNewPlace's college housing search. Although Florida Southern College Business School student housing may be very conveniently close to campus, moving to an off campus apartment can be a great way to save money, put some distance in between yourself and an RA, get accustomed to living in your own apartment and building up rental history. FBC apartments for rent are available close to campus and in other neighborhoods around Lakeland, FLORIDA. Using our map based university apartment finder, you can find off campus housing near campus to ensure you can still get to all the FBC 0 games and make it to class on time. We can help you find off campus FBC apartments that will best suit your collegiate lifestyle; search Florida Southern College Business School apartments by the number of bedrooms, price, neighborhood or a range of other amenities. Have more questions? Check out our articles with renter tips in our apartment guide and search through http://www.flsouthern.edu/academics/Business/.